In 2003 and 2006, the National Endowment for the Arts (NEA) awarded Access to Artistic Excellence grants to support special Songs of Hope™ tours along the Mississippi River. Cities International in recognition of its unique international concepts and high quality. In 1996, in recognition of its services to low-income youth locally, Songs of Hope™ was awarded a Peacemaker Award from the Office of the Minnesota Lieutenant Governor. Five times, Songs of Hope™ has beenone of just 50 semifinalists nationwide for a prestigious National Arts and Humanities Youth Program Award (formerly, the Presidential Coming Up Taller Award). 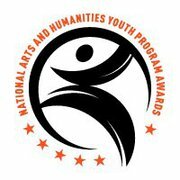 Ten NAHYP Awards are given annually to top youth arts projects in the nation by the President’s Committee on the Arts and the Humanities, along with the NEA, and the National Endowment for the Humanities, and the Institute of Museum and Library Services. Since 1994, the project’s umbrella arts organization, Sounds of Hope, Ltd., has applied annually for funding from the Metropolitan Regional Arts Council (MRAC), a state-funded nonprofit agency. In a testament to the reputation of the summer program, Songs of Hope™ has received MRAC public funding every year from 1994 to 2012. Few projects are able to claim similar levels of success in MRAC’s competitive funding process. Songs of Hope™ has also received funding support from prominent foundations and corporations such as Macy’s Stores, Target Stores, Jostens Foundation, Cargill AgHorizons, Travelers Insurance Companies, 3M, The Saint Paul Foundation, General Mills Foundation, and many others.